Details about UN Sc 123/180, C11-C12 MNH. 1964-67 issues, 58 diff, mostly complete sets, VF. UN Sc 123/180, C11-C12 MNH. 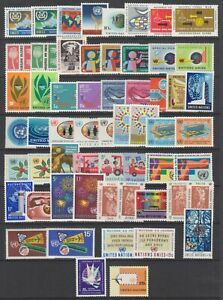 1964-67 issues, 58 diff, mostly complete sets, VF.